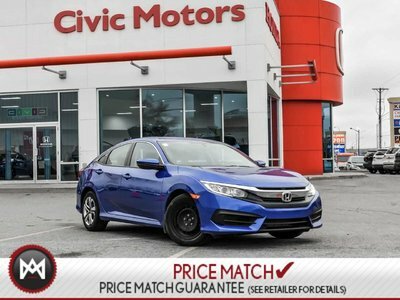 Details 2018 Honda Civic LX - Heated Seats, Back UP Camera, Bluetooth. My!! My!! My!! What a deal! This reliable LX would look so much better out doing all the stuff you need it to, instead of sitting here unutilized on our lot!!! Safety equipment includes: ABS, Traction control, Curtain airbags, Passenger Airbag, Daytime running lights...Other features include: Bluetooth, Power locks, Power windows, CVT Transmission, Climate control and more. Hurry in today for your test drive today.